Hey guys, so if you didn't already know, I took a little break at the end of September, and for some reason my September Beauty Box 5 took a lot longer to get to me than I anticipated. It took until the last days of September to get to me. I blame the San Marcos post office. I don't know what the hell they are doing there, but it gets a little aggravating when they take an additional 2 weeks to deliver a package to me! I don't blame BeautyBox 5, because they have no control after the package leaves them. But it's just so annoying when the postal service is so slow. Anyway for October, surprising enough they actually came almost on time. My package did take a couple of extra days, but nothing like September's box. This box was a little disappointing to me. A lot of other people said the same thing, but then again sometimes you get really exciting, amazing boxes, and other months you get some that aren't as amazing. I think the eye cream will probably come in handy when I'm traveling. I didn't really need the nail polish, because I already have so many colors in my collection, and the eye color pencil isn't really my color. 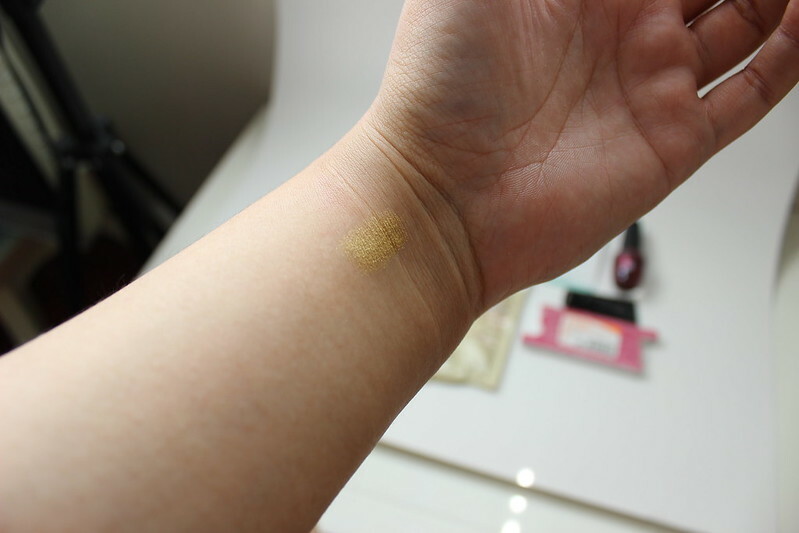 I swatched the eye crayon on my wrist to show you how this color probably doesn't match me. I just don't think gold matches really well with my skintone. If I was lighter, or darker then yes, I could see it being a nice match. Now for October's box there were a couple of cute surprises. First off is the Beauty spatula. Now I already know from reading other blogs that I was going to be receiving this. I was super excited when this came in the box. 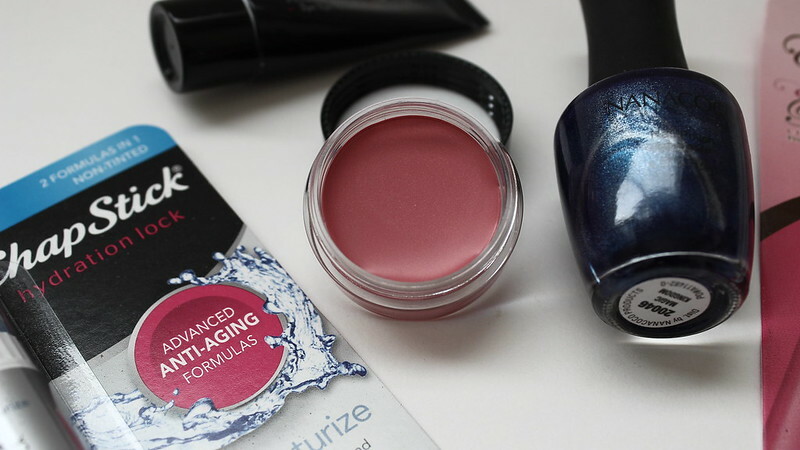 I mean how often do you have to get the last drops of makeup out of the bottom of that stubborn glass/plastic bottle? It's happened to me before! 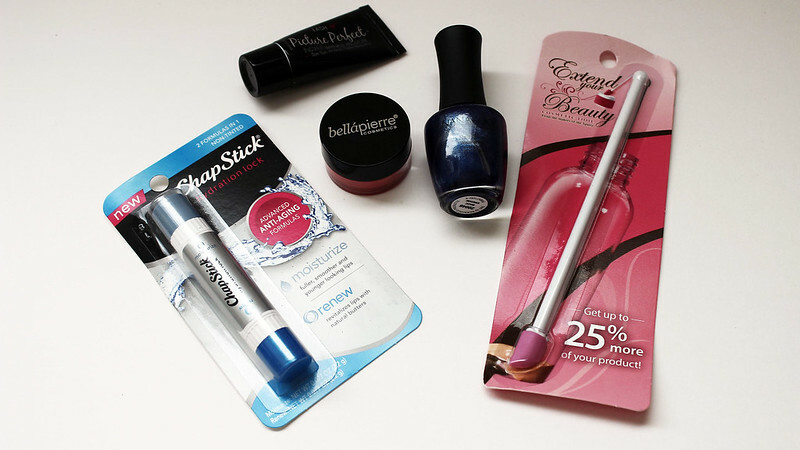 Another thing about this month's box that made it worth it for me is the Bellapierre cheek and lip tint. I think this will be a good addition to my makeup routine come spring! I'm always looking forward to the future. 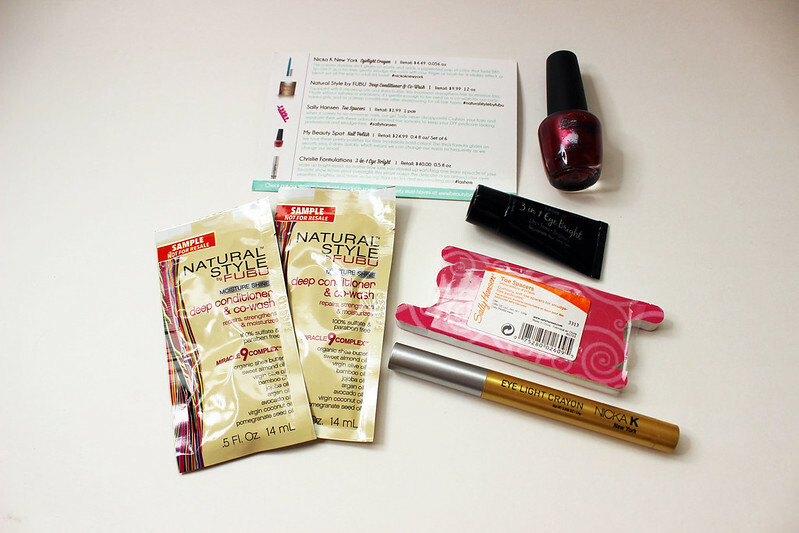 What do you like from October's beauty box 5? Ooh I've never heard of the Beauty spatula before.. definitely need that!! Ahh free stuff, how nice! Too bad it came later than expected, but at least you got it!